Lego Robotics & Events - SELF International, Inc.
Would you like to build robots with Legos®? 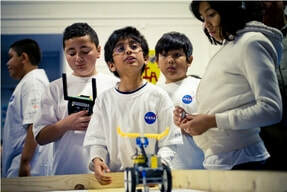 Let us know if you’d like to join a Lego® robotics club after school. Would you like a Lego® Robtics club in your neighborhood? You might even decide to form a league and go for statewide competition. Periodically we will offer Saturday workshops for whole families to explore “cutting edge” science ideas. Because it is “cutting edge” it is new to everyone, so this is a great time for parents to learn along with their children and have fun sharing the experience.